Dr.Noreuil is professional, polite ,caring and attentive . Knowledgeable ! Did not RUSH ,took his time to learn my healthissues , asked questions and listened .Suggested guide lines. Went over important points for my age group. Very pleasant experience ,lovely office. Grate technician! Would highly recommend to friends and family . Dr.Noreuil is professional, polite ,caring and attentive . Knowledgeable ! Did not RUSH ,took his time to learn my health issues , asked questions and listened .Suggested guide lines.Went over important points for my age group. Very pleasant experience ,lovely office. Grate technician! Would highly recommend to friends and family . Dr. Todd Noreuil is a cardiologist treating patients in Maryland and Washington, D.C. He strives to integrate rapidly changing, highly technological advances into personal, compassionate care to keep his patients healthy and active. He holds Board certification in both internal medicine and cardiovascular disease and operates through CardioCare. For his undergraduate degree, Dr. Noreuil attended Southern Illinois University before pursuing his medical degree at the Southern Illinois School of Medicine. He continued his medical education with a residency at the University of Arkansas for Medical Sciences, where he completed a residency focused on the study of internal medicine. 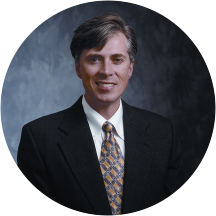 Dr. Noreuil has also completed programs in cardiology and heart failure and transplant at the University of Alabama. Patients visiting Dr. Noreuil can receive a full range of cardiac care. His areas of professional focus include heart failure, pulmonary hypertension, and valvular heart disease. General cardiology consultations and preventative disease screenings are also available. When he is not treating patients, Dr. Noreuil enjoys golf, hiking, biking, and spending time with his wife, Kim, and his two children, Anna and Laurel. PLEASE NOTE: CARDIOCARE HAS A 24-HOUR CANCELLATION POLICY. Patients who cancel within 24 hours of their appointment may be subject to a late cancellation fee. My visit went very smoothly, I arrived 15 min ahead of my appointment. I was seen by a very nice receptionist/nurse who was able to get the appointment started before seeing the doctor. Todd was competent and kind, he actively listenedto everything I told him, assessed my condition and came up with a solid game plan for moving forward. After searching for a new primary care physician, I found and settled on Dr Noreuil. I scheduled my annual physical with him. I was seen right on time. Dr Noreuil was very friendly and asked a lot of questions. I likedhim a lot. I am feeling confident that I made a good choice with him. Dr. Noreuil is kind and attentive. The office is roomy, yet cozy, and all the testing equipment is in the same office you'll have your consultation. Highly recommended. My experience with Dr. Noreuil was absolutely wonderful. I'm new to the DC area and needed to find a primary care physician who was in my insurance network. Through ZocDoc, I slelcted Dr. Noreuil and made an appointment for an annualphysical. I arrived at the Chevy Chase location, which was easy to find, and checked in at the front office. The staff was friendly, and the service was fast. Within about 2 minutes of checking in, I was invites back by his nurse to check vitals, and have an EKG. It took about 10 minutes before he came into the room, but that was due to him having to take care of another patient. He was very thorough and answered all of my questions. He made site to take his time listening to mu concerns, and did his best understanding my medical history, and family history. I recommend Dr. Noreuil to anyone looking for an internist and/or cardiologist. Dr. Noreuil was very polite and friendly. He personally spent a lot of time with me during my first visit for physical and did not simply delegate work to support staff. He asked many questions and examined me pretty thoroughly. Dueto my age and described symptoms, he is bringing me back for more extensive follow-up tests, such as treadmill stress test and others. He is my primary care physician but he is also a cardiologist, which is a big plus for me since I have family history of cardio-vascular problems. Dr Noreuil was very thorough, listens well and wants to make sure every aspect of my health was covered before deciding on tests and then medication after the test results. I like that he explained everything in detail and did notseem rushed. I have never seen another cardiologist in my life but he is one of the best doctors I have met. Dr. Noreuil was prompt, courteous and thorough. The prompt part sure is nice in an era when doctors seems to have no respect for their patients' schedule or time constraints. Dr. Noreuil asked lots of questions and took lots of notes,and seemed to listen well. Heart disease runs in my family and I have a history of high cholesterol so the fact that he is also a cardiologist is a big bonus. I would recommend Dr. Noreuil to anyone seeking a new primary care physician or cardiologist. Never in my life have I seen a doctor so quickly. I hadn't barely sat down in the waiting when Dr. Noreuil himself -- not a nurse -- showed up to call me back into an examination room. He is extremelykind with a gentle, bedside manner. He asks good questions and listened well. I was very satisfied with the visit. His assistant was very competent and efficient. Great doctor, great bedside manner, very thorough and well explained. Best doctors visit yet! Dr. Noreuil is an extremely caring doctor and his staff were very professional and efficient. I appreciated that every effort was made to see me quickly with minimal disruption to my day. Dr. Noreuil took my primary care doctor's referral fora suspected heart murmur seriously and set my mind at rest once he determined what was going on. He made time to answer my questions and never made me feel rushed. Excellent Dr and his assistant/nurse as well, Grace. Dr. Noreuil was extremely thorough, thoughtful, and patient. It was the most comprehensive check-up I've ever had (in a good way) from a primary care physician. I was highly pleased and will continue to go to his office. Dr. Noreuil is personable and attentive during the entire visit. He provides good insight on what he is doing during an annual physical, as well as advice on general health tips as well. Definitely recommend. Dr. Noreuil is very professional and took the time to get to know me and my medical history. He's kind and thorough and having not seen a doctor in over a year, I'm glad I had my physical with him. Very calm, professional, calm. Took time to ask plenty of questions to make sure he was covering any concerns I may have had about my health. The office and the examination rooms were clean and relatively updated. I'll be going backand would recommend Dr. Noreuil (pronounced Norrell) to friends as well. Friendly, professional and efficient visit! Very professional. Very thorough. Very nice. Highly recommended! I am very please to find Dr. Todd Noreuil. I will see him again. Excellent. Professional. Nice, took time to take good notes. Really listened. I enjoyed meeting with Dr. Noreuil - good listener and felt like he took the time to get to know me. Smart and efficient. He came up with solutions to problems that no other doctor was able to come up with. I was reassured and given time to talk unrushed and fully with the doctor. He gave me specific instructions along with encouragement. Great first visit with Dr. Noreuil. He and his staff were very welcoming and patient when discussing my health history and were extremely attentive to any of my concerns. I was pleased with the efficiency of my appointment and look forward to my next check up. Highly recommended. Dr. Noreuil is one of the best doctors I have ever seen. He was extremely considerate and thoughtful, and he took the time to sit down with me and listen thoroughly to everything I had to say, and to provide his insight to the fullest extent. Smart, pleasant, warm manner, very helpful. Felt that he took appropriate time to ask questions, offer advice, and not just run me through a process.